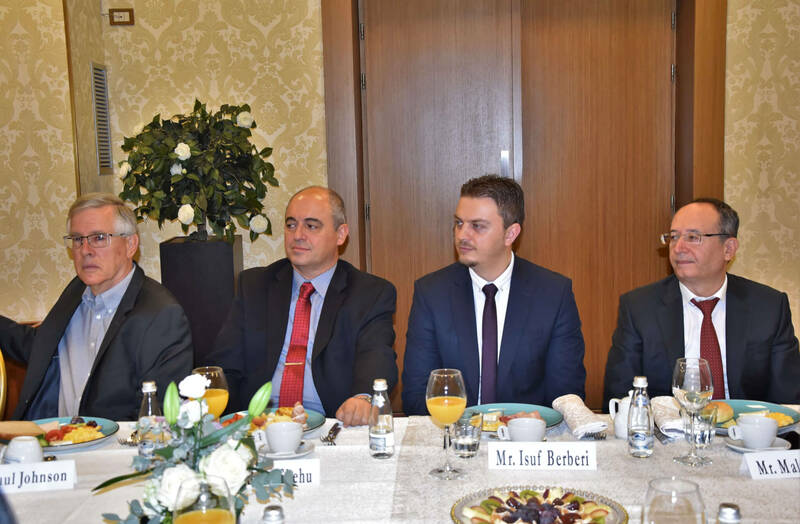 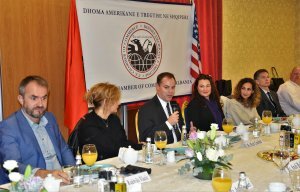 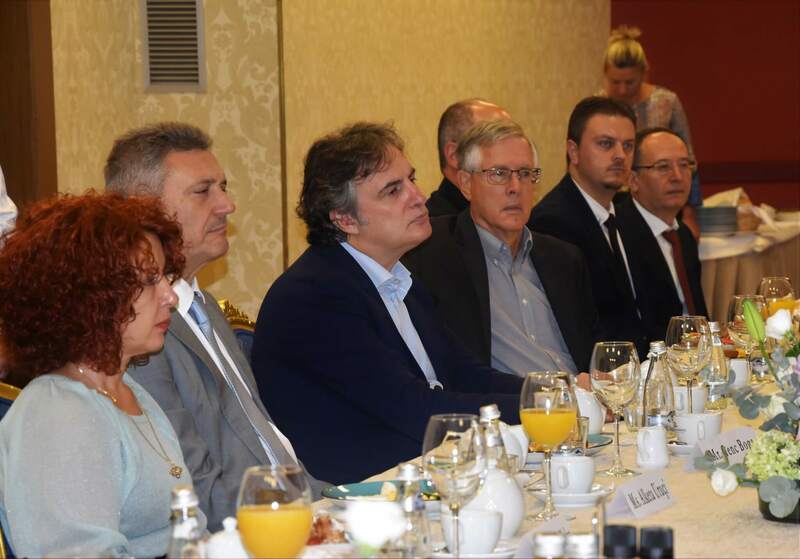 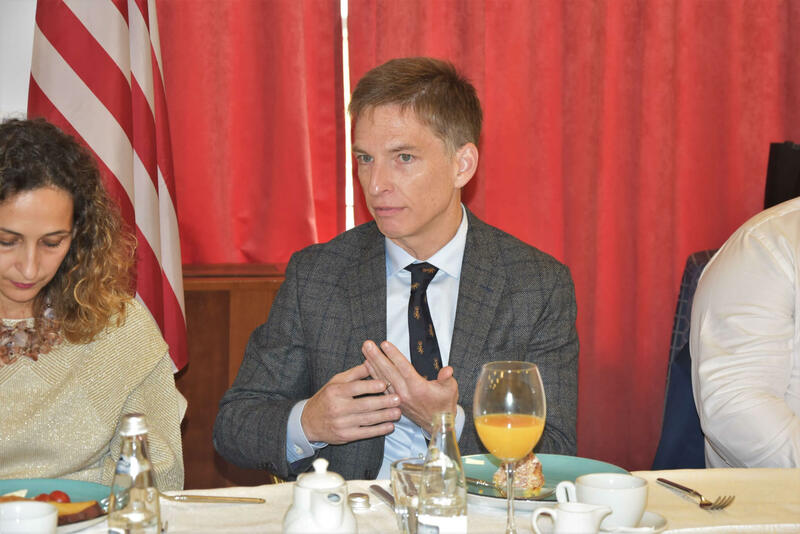 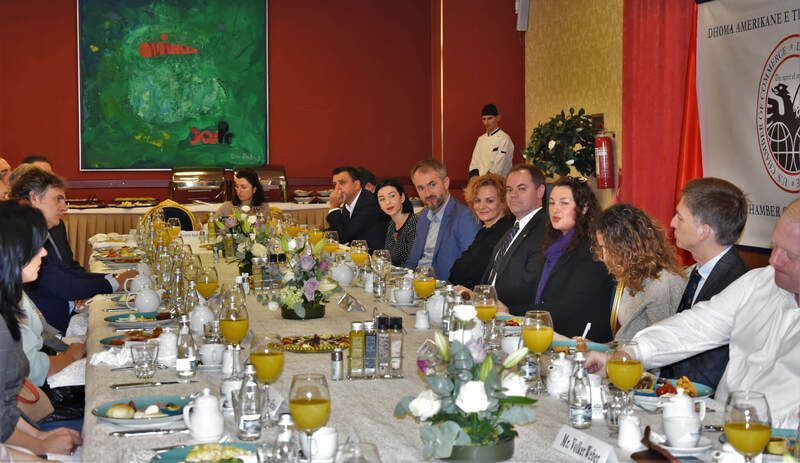 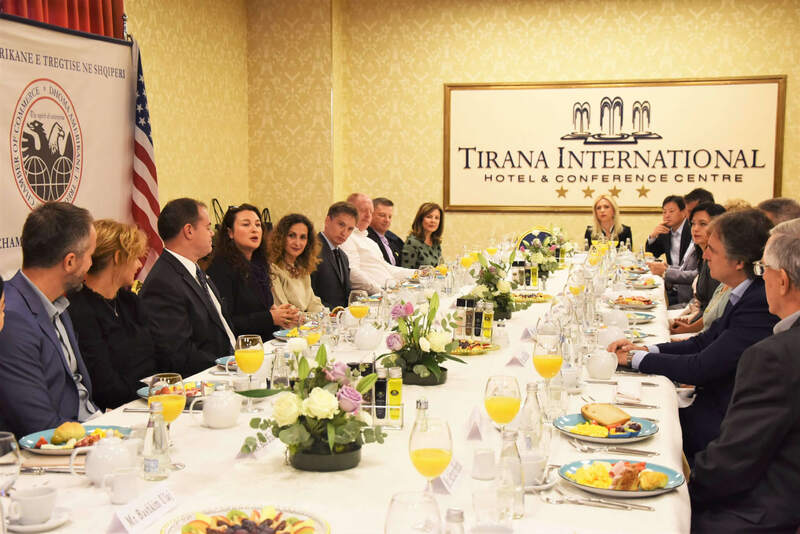 Economic development and justice reform will strengthen the cooperation The CEO Forum of the American Chamber of Commerce (AmCham) held today a working breakfast with Ms. Leyla Moses-Ones, Charge d’ Affairs at the U.S. Embassy in Tirana. 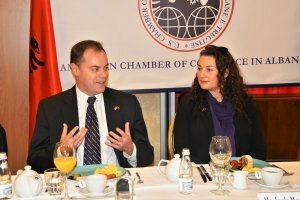 The meeting aimed at strengthening the cooperation between AmCham membership and the U.S. Embassy towards consolidating the economic and trade cooperation with the United States and strengthening the rule of law as a key condition to improving the business climate and boosting foreign investments. ‘We are here today, together with the Embassy, to share ideas on how to move the organization forward and strengthen our cooperation. 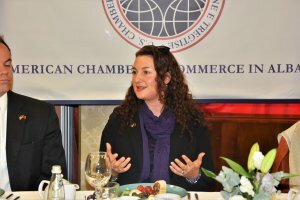 AmCham CEO Forum has representatives from all industries in its midst and is the strongest voice in the American Chamber’, said during the meeting, Ms. Enida Bezhani, the Executive Director of AmCham, while the President, Mr. Mark Crawford, stressed that ‘these forms of cooperation with the Embassy serve to strengthen the relationship. Clearly each of us has his own objectives; the Embassy is focused on the justice reform and the security, while AmCham is focused on fiscal policies and taxes. 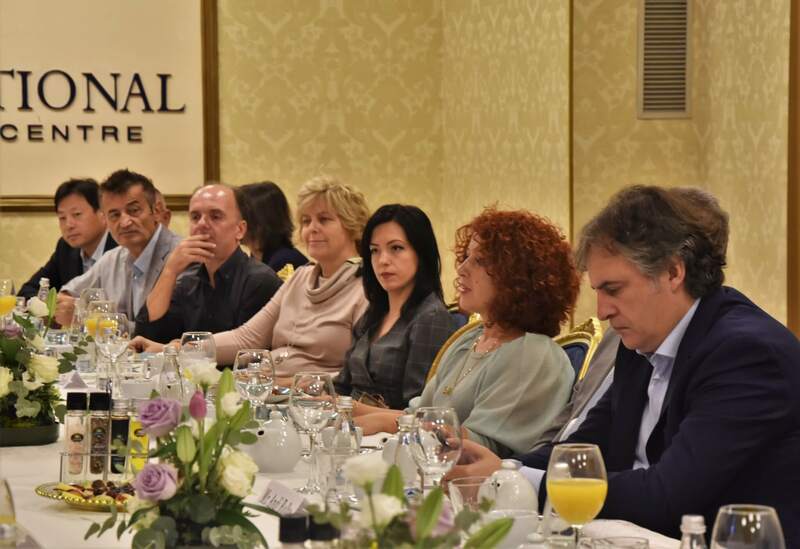 However, at the end of the day together we work to influence the development of the country’. 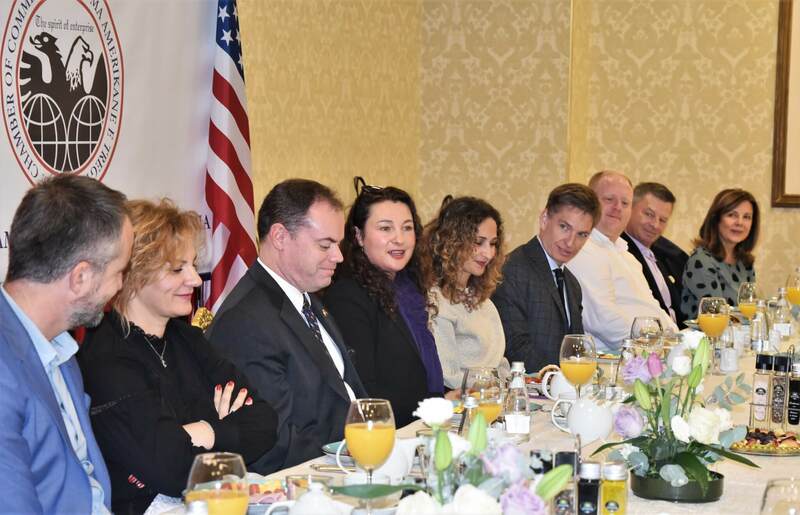 Speaking to the members of the CEO Forum, Mrs. Moses-Ones thanked them for the warm welcome and shared with them the objectives that the U.S. Embassy has for the next three years. 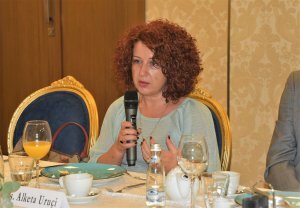 ‘Our focus is directed on three important issues for the coming years: the justice reform, the fight against corruption, security and economic development,’ said Ms. Moses-Ones in her speech. 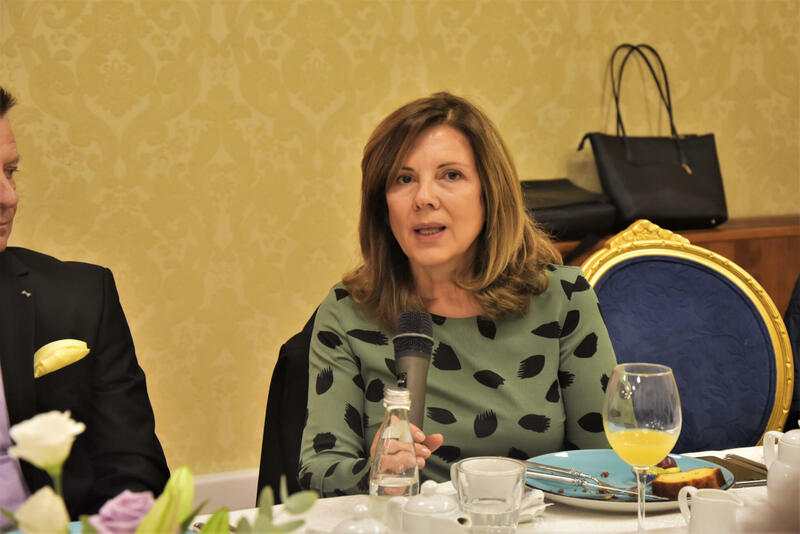 Speaking in detail on how the Embassy applies policies, she explained that the justice reform will have a direct impact on businesses, as it is a domino effect Problematic contracts or business conflicts that are brought to court will stand more chances of a fair trial. 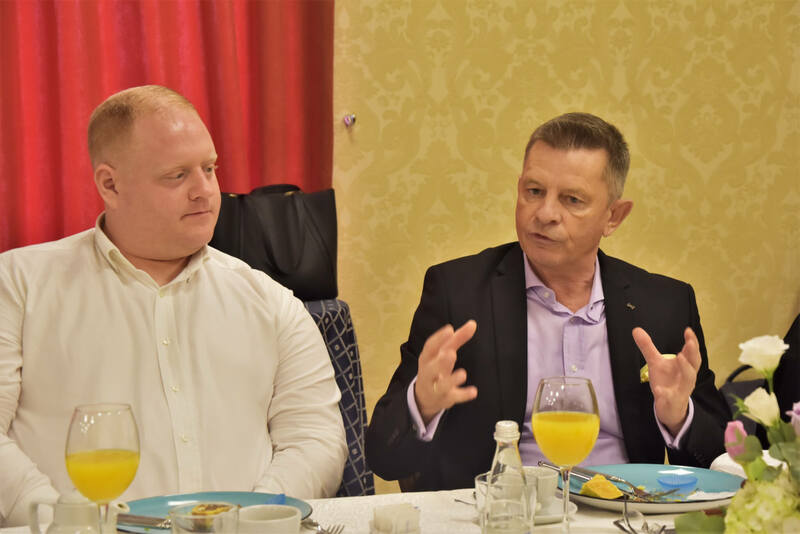 The business climate is expected to be impacted positively by the developments in the justice system and following in politics and governance. But when it comes to the economic development, the Embassy and the AmCham have much in common in their work. 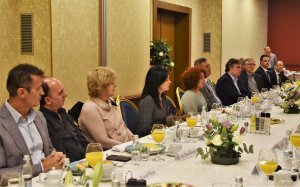 Economic development is based on reliable economic policies, which are feasible, when agreed upon prior with the businesses. 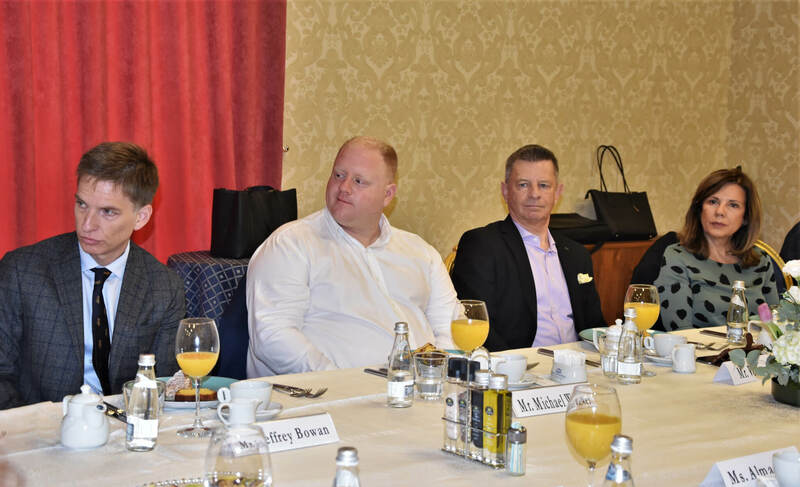 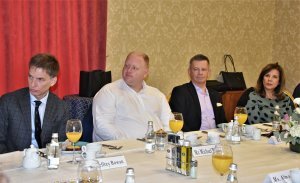 Many representatives of the CEO Forum emphasized this the importance of AmCham and the CEO Forum continuing to keep an open dialogue with the government, especially when it comes to tax and fiscal policies that directly affect the business. 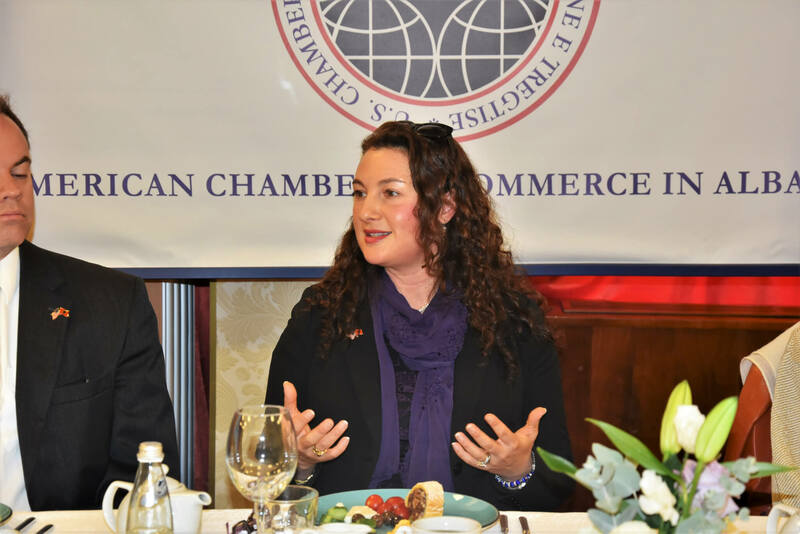 Through the comments of the AmCham representatives Mrs. Moses- Ones, was introduced to the work done by AmCham over the years to improve the business climate through dialogue with the government and other forms of lobbying that are used to bring about concrete developments in drafting laws and their implementation.